Zero Tolerance or Community Tolerance? First published in 1999, this volume presents arguments which compare two inner-city wards of Salford and look to introduce such a subtlety to the understanding of the management of crime in high crime communities and derive from a longitudinal research study which took place over a two and a half year period. Between 1994 and 1996, researchers based at the University of Salford and the University of Keele embarked on research into two similarly structured neighbourhoods within the city of Salford in the North of England. This research set out to situate an understanding of the risk from and fear of crime in a comparative, urban context – to uncover how people who live, work and go to school in designated ‘high-crime’ areas manage their routine daily lives and construct their own responses to ‘risk of’ and ‘fear of’ crime. The authors go on to highlight the similarities between these wards and other wards with which they have a clear resonance across Britain. 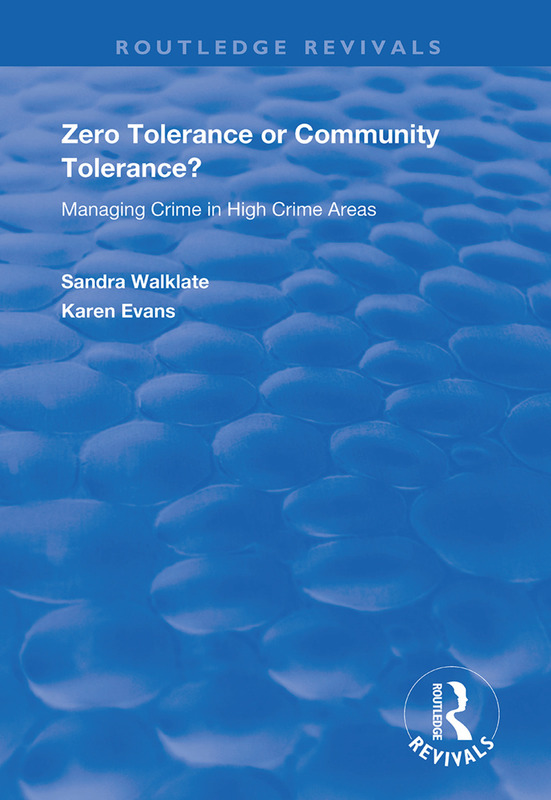 Crime, Community and Partnership: Zero Tolerance or Community Tolerance?